Come learn how (and why) to make authentic, traditional, yeast-free healthy whole-spelt bread in a hands-on class. We'll make light delicious sourdough bread you and your family will love every day. While the focus is on sourdough bread, we'll touch on how to use the sourdough starter for all kinds of delights including pancakes and cinnamon rolls (is your mouth watering yet? 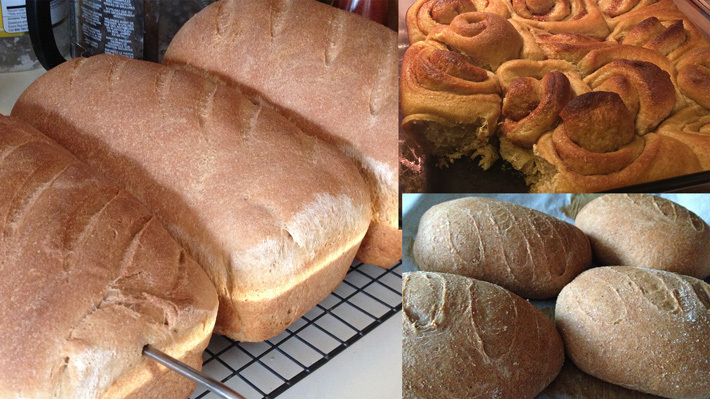 :) We'll sample a slice of sourdough bread and a warm gooey cinnamon roll in class. Go home with starter and enough flour to get you going, and a full-color tutorial. Class size is very limited. Address will be provided upon ticket purchase.